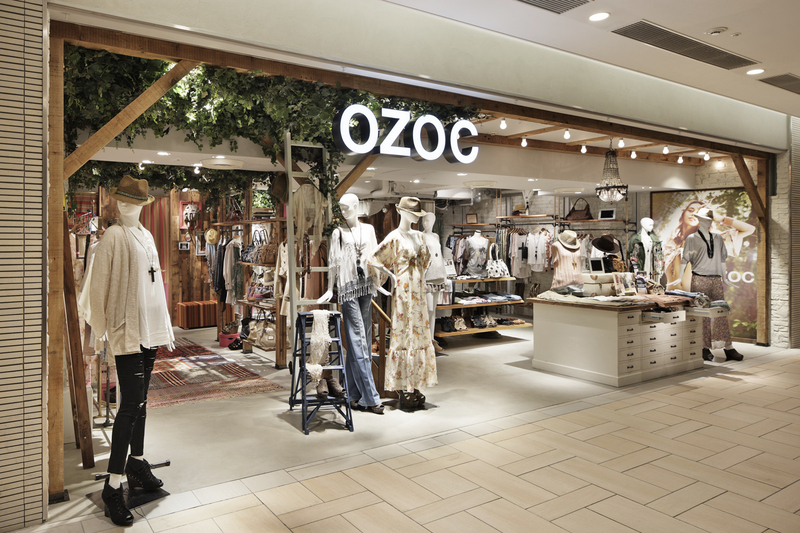 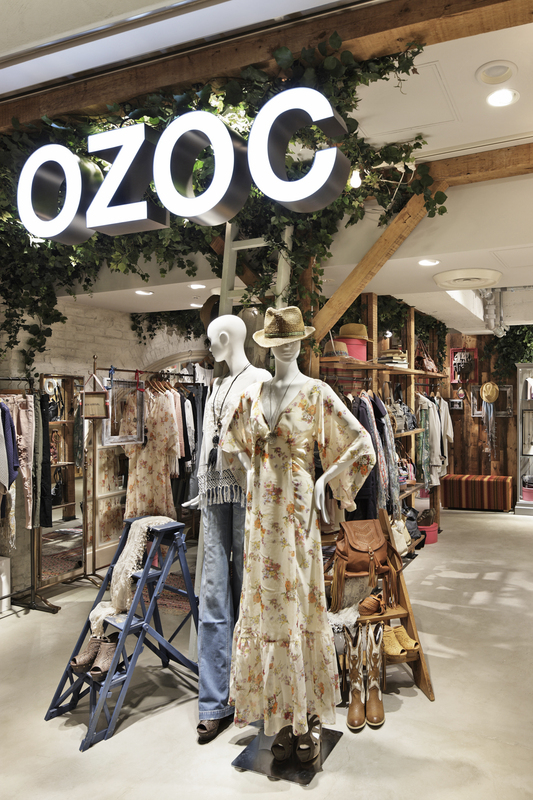 The brand OZOC reopened their store in the first basement level of Lumine East, a large shopping center adjacent to Tokyo's Shinjuku Station. 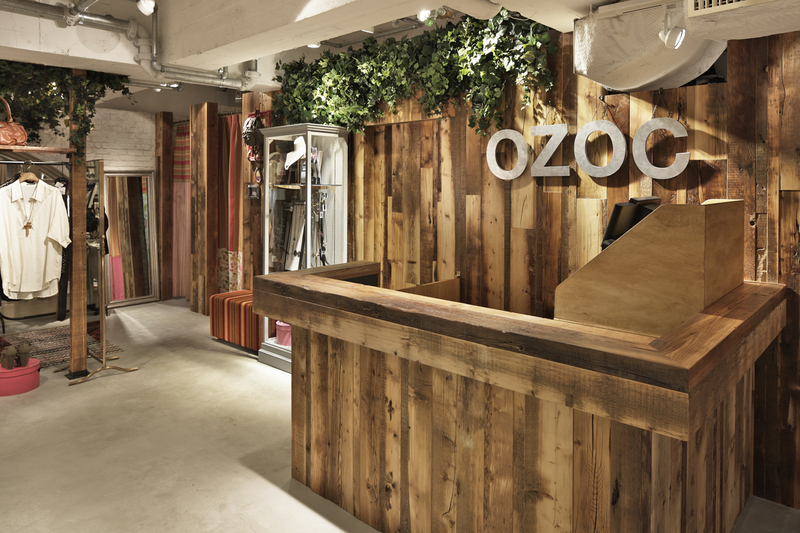 In order to make visitors feel the OZOC's unique sense of style, Jamo's idea was to clearly divide the space into "functional sales areas" and areas where the "brand's sense of style" is pinpointed through visual merchandising. 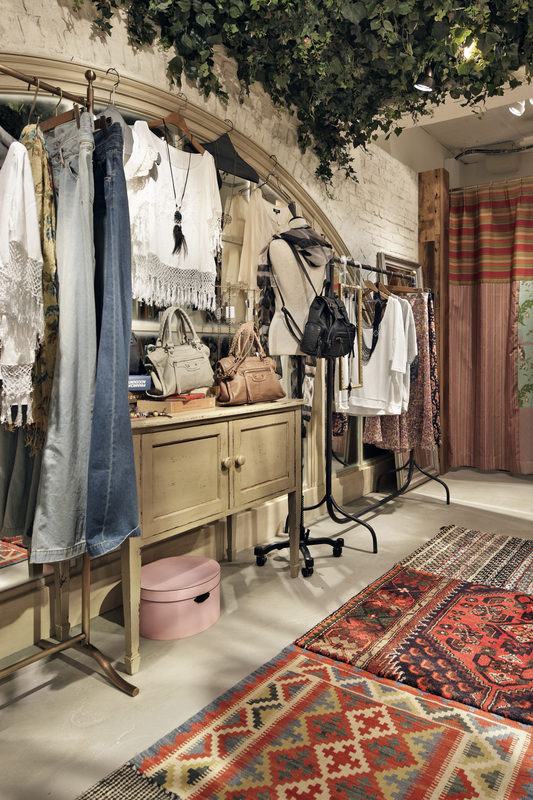 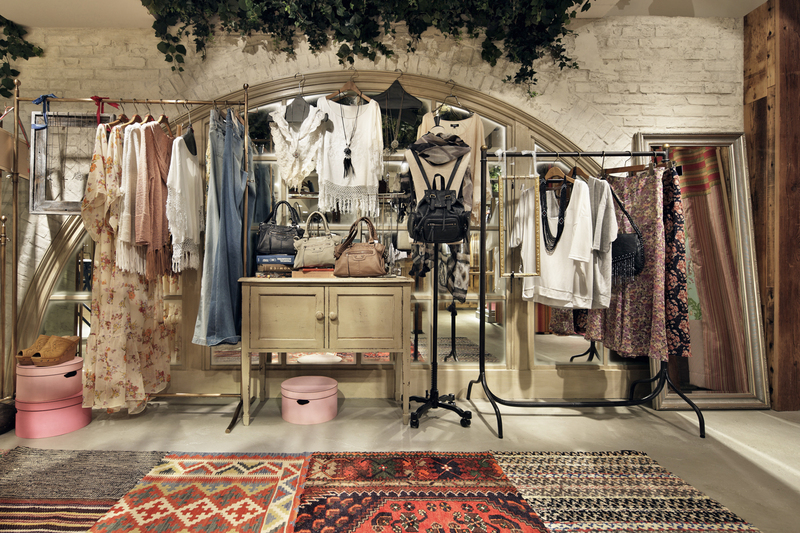 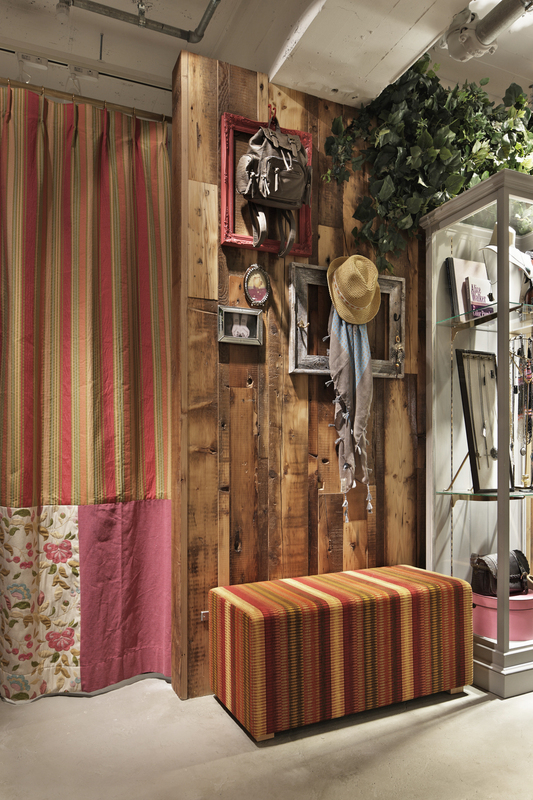 The brand's sense of style is expressed through the theme of "the bedroom of a girl who loves to travel"; this is seen primarily around the fitting rooms where the "bedroom" is made out of distressed reclaimed materials and decorated with antiques, plants, fabrics and picture frames "collected from around the world". 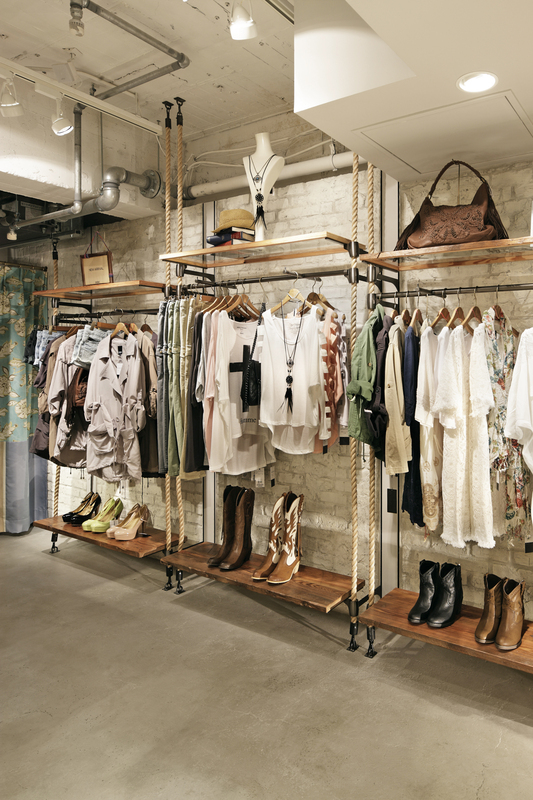 Functional sales areas are composed mainly from floor-standing display fixtures; these provide a flexible framework that can be easily changed to fit each day's flow of customers, shop manager's intuition, or new product line-up.